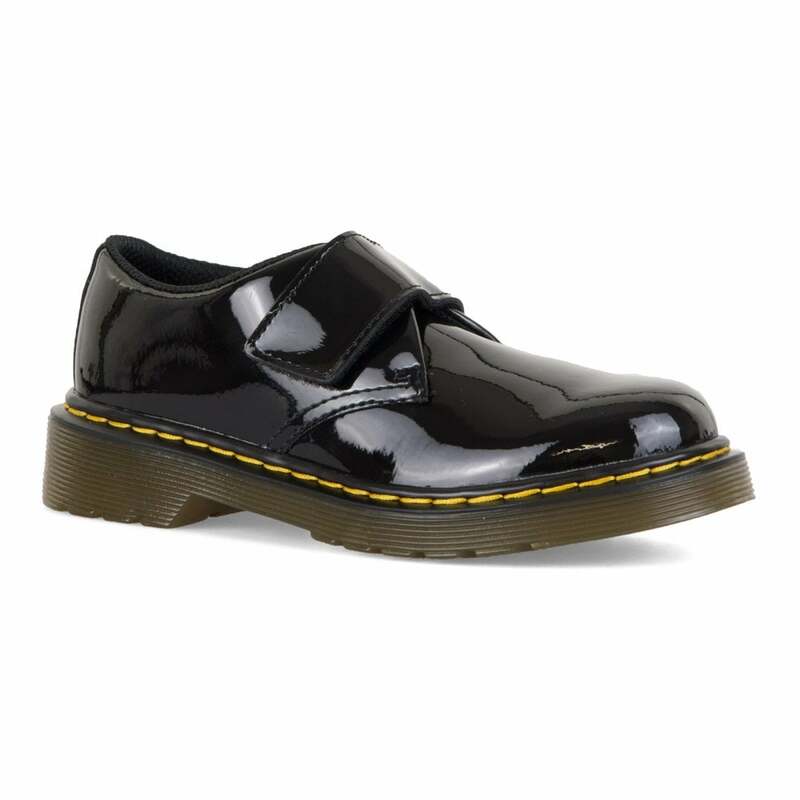 These Dr. Martens Kamron Shoes have a patent leather upper and are black in colour. They have a textile lining with a padded footbed and are fastened with a single velcro strap. The soles are a thick rubber with yellow stitching, Dr.Martens Air Wair technology and a deep tread for unbeatable grip on any surface.